Public speaking isn’t easy. (I’m not good at it at all.) One of the hardest things to do when you’re on stage in front of a lot of people is figure out what the hell to do with your hands. A lot of people at E3 don’t seem to have figured this out. Electronic 3 is an event that thrusts a lot of people who aren’t necessarily used to talking to the public onto a giant stage where they are forced to do exactly that. Viewers scrutinize these poor unfortunate souls just because they happen to be on a stage or livestream. Now—what the hell was Chris Avellone doing with his hands? Avellone is one of my favorite writers in games, and I respect him a lot. He also looks just as nervous as I would in this circumstance, which humanizes him for me. After I noticed Avellone’s weird hand position, I started noticing everyone else’s. Phil Spencer clearly does not know where his hands are supposed to go when he’s talking. 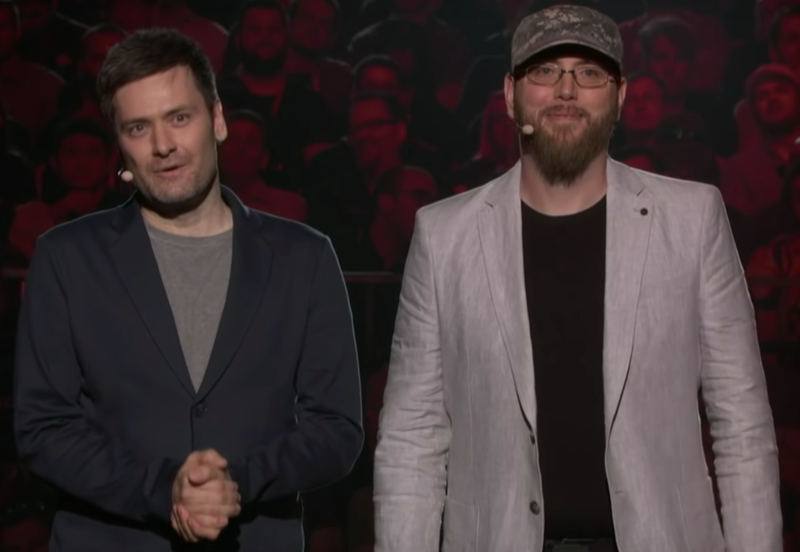 I was also really feeling for this community manager for Elder Scrolls Legends on stage at Bethesda’s conference, who looks like he realized he had hands exactly at this moment. In my experience when you’re holding your hands this close to your pockets, what you’re thinking is, “Should I just put my hands in my pockets?” You probably should. But now you haven’t because you missed the moment when it would have been normal and no one would have noticed. This community developer on Rainbow Six Siege saw what Avellone was doing with his hands and decided to try it at Ubisoft’s press conference. Laurent Malville, creative director at Ubisoft Montreal, mostly just held his hands out like he was holding a medium-sized box, which isn’t a bad strategy. Not everyone looked like a deer in headlights up on stage. Unsurprisingly, people like Shawn Layden, the president and CEO of Sony Interactive America, did not seem all that uncomfortable addressing a large group of people. 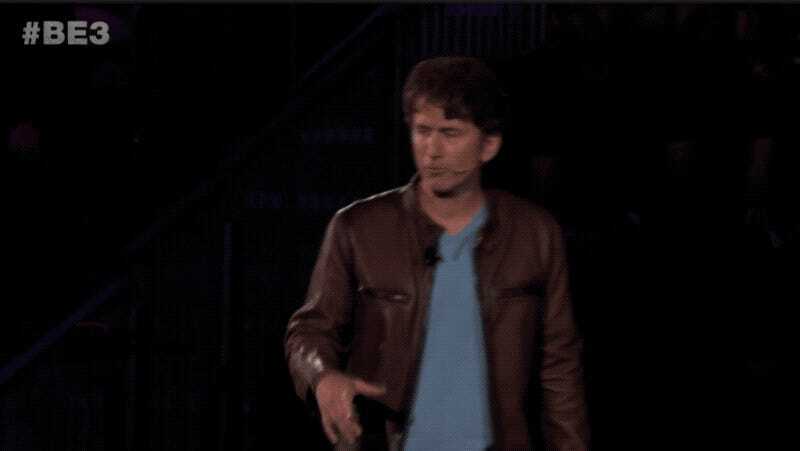 But I was honestly most impressed by Todd Howard. He walked around, addressed the crowd, and knew when to use a gesture to punctuate a sentence. The next time I do public speaking, which is hopefully never, I’ll try to take some tips from Howard. In the meantime, I don’t want to think about how weird hands are for a while.